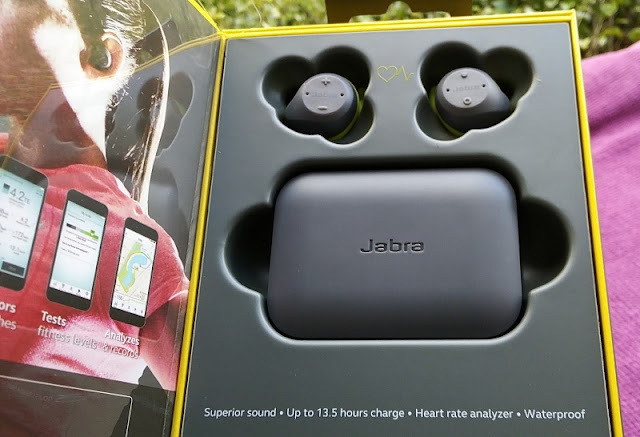 Designed for the budding sportsman and for serious fitness heads, the Jabra Elite Sport features best of fitness and wireless worlds and that is fitness tracking on the go and wire-free design! 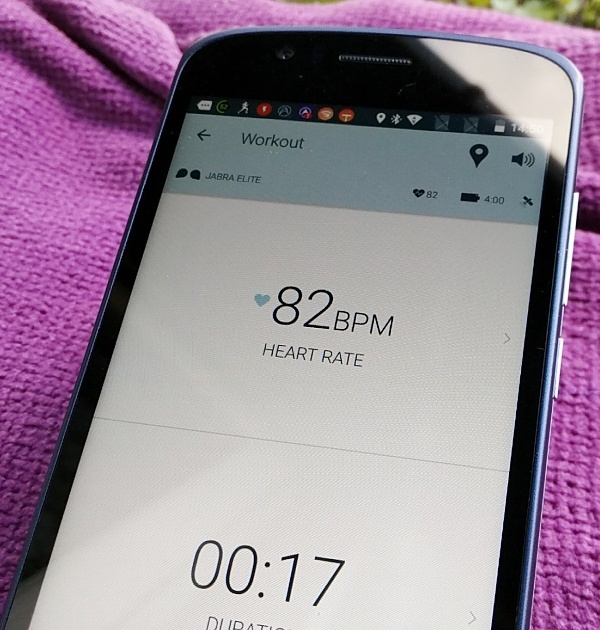 The wireless connectivity consists of Bluetooth 4.1 while the built-in fitness activity tracking lets you count your steps, check calories burned and even keep tabs on your heart rate all while listening to music from your smartphone. 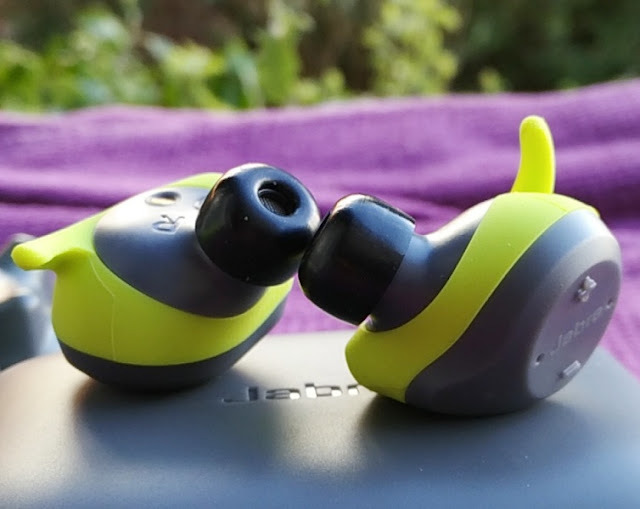 The tri-axis accelerometer and optical heart sensor integrated in the Jabra Elite Sport earphones monitors heart rate from your ear as opposed to the wrist, arm or chest. 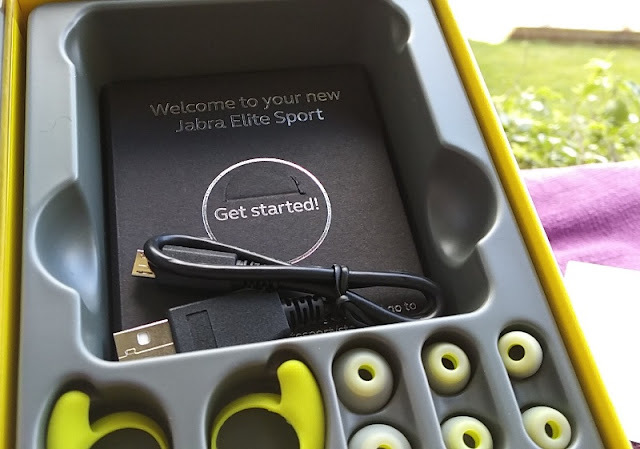 This means you won't have to wear a wristband nor chest strap to monitor your fitness, making the Jabra Elite Sport a very convenient and nifty bit of technology. 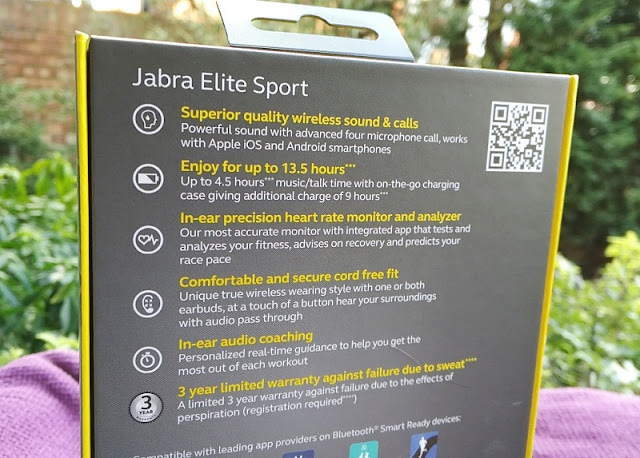 The Jabra Elite Sport work in conjunction with the Jabra Sport life app which is available for both Android and iOS and acts as a free personal fitness trainer letting you track VO2 max, and choose from thirty or so training exercises while getting live feedback on the go. 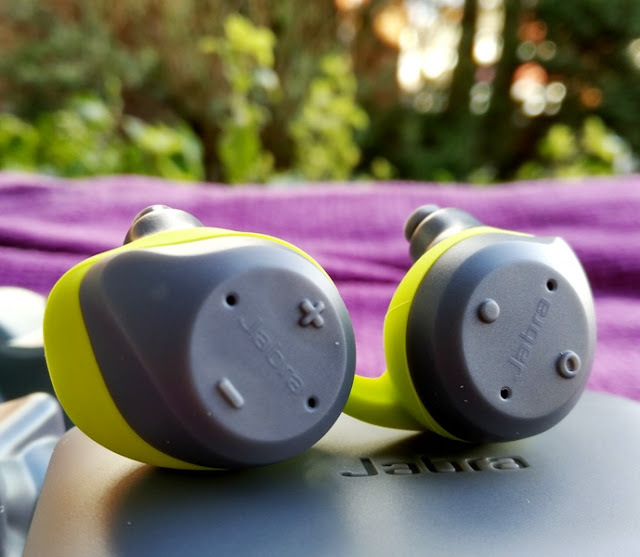 The Jabra Sport life app is compatible with Bluetooth smart ready devices and does a very good job at tracking how much oxygen you can utilize during intense exercise. 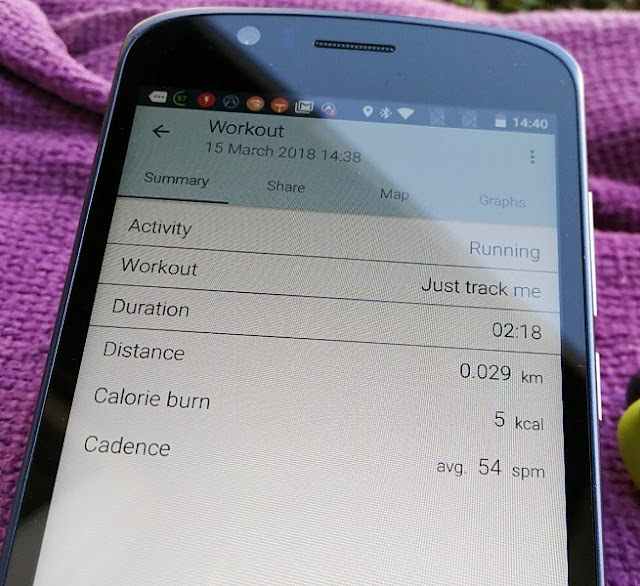 The Sport Life app does have its limitations though as you won't be able to integrate it with the Apple watch and other 3rd party apps like you can with the Sport Coach earbuds which integrates with third party apps such as Fitbit, Nike+ Run Club and Garmin connect. 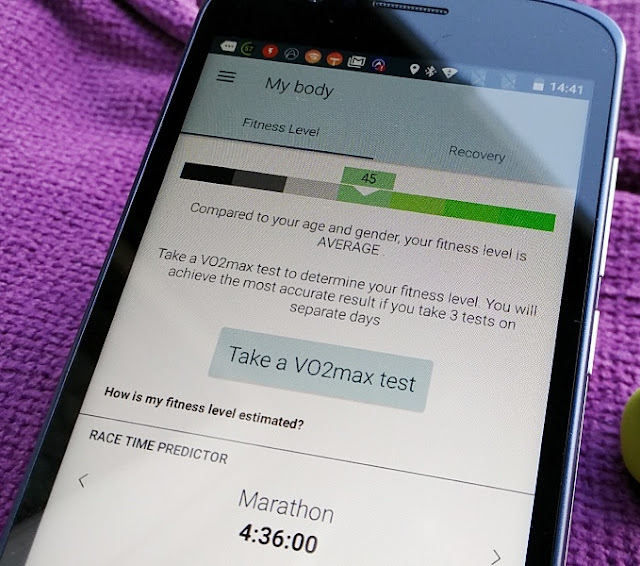 With that said, you do get useful training analytics with the Sport Life app including time, speed, distance, pace, steps, cadence, calories, and heart rate zone, as well as personalised audio coaching in real-time while working out. 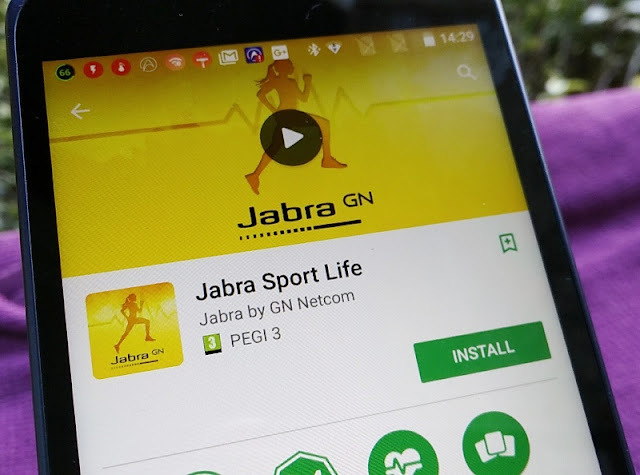 When installing the Jabra Sport life app you may also need to install the Jabra Service app add-on in order for the app to work. 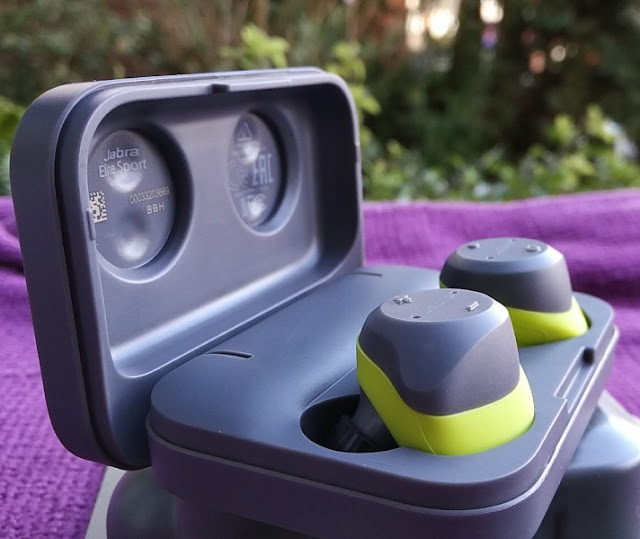 The battery built-in to the Elite Sport earbuds can power them for 4.5 hours, while the portable charging case lets you store 13.5 hours of portable battery power which is neat. 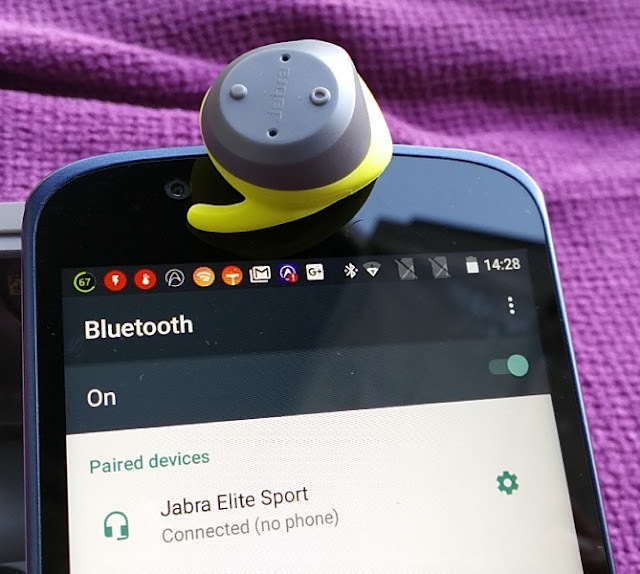 Aside from the heart rate and activity features, the Jabra Elite Sport app integrates another nifty feature, similar to the AMBEO headphones, called "Hear Through" that lets in background noise at a touch of a button (you control this feature via the right earbud). 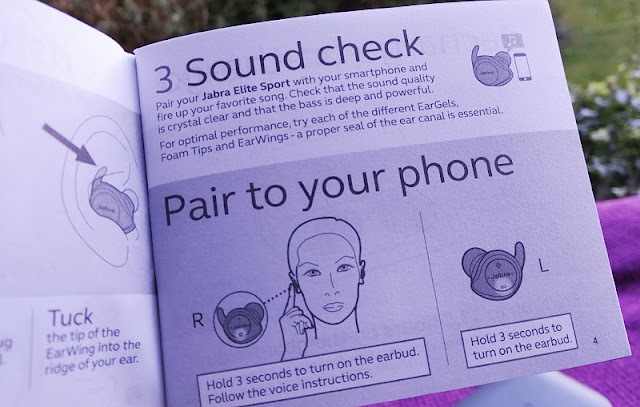 You can activate the Hear Through feature via the Sport Life app and the right earbud itself. 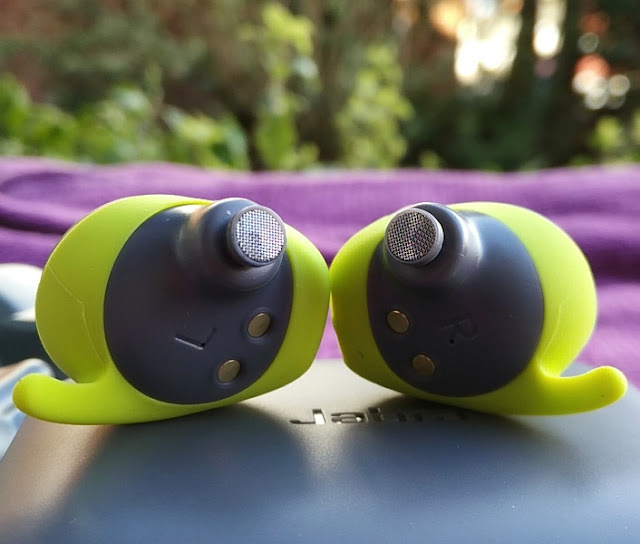 The integration of the Hear Through feature means there is no need to remove the earbuds when talking to people, or for situational awareness when running along the road. 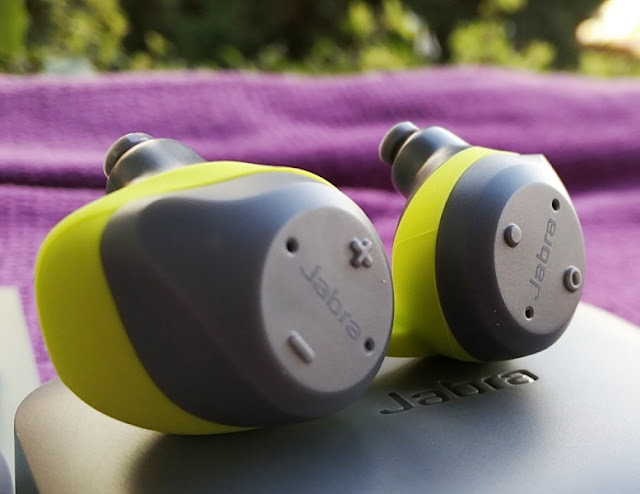 The Jabra Elite Sport earbuds have a waterproof IP67 rating, meaning the Elite Sport earbuds can be submerged under water up to 1 metre depth. 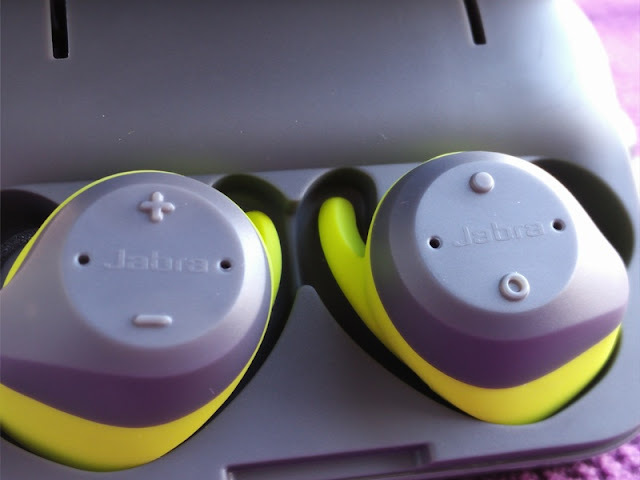 Jabra Elite Sport also work independently from each other so you can pair both or one single earbud. 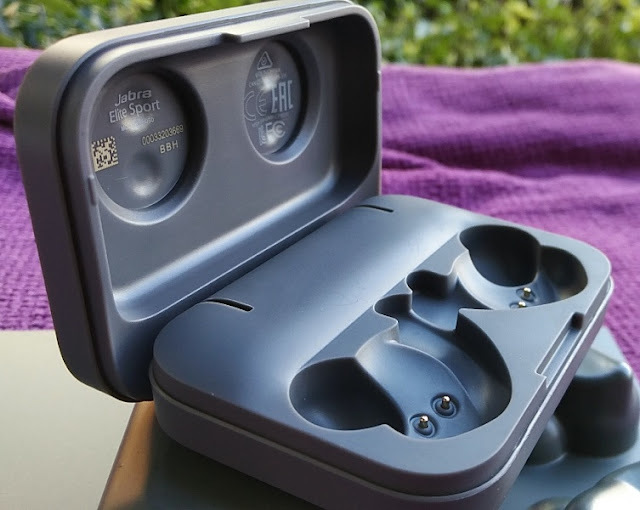 The dimensions of each earbuds are 27mm long, 30mm wide and 22.5mm high and weigh 13 grams in total (6.5 grams each). The charging cradle measures 72mm long, 51mm wide and 26.5mm high and weighs 67 grams. 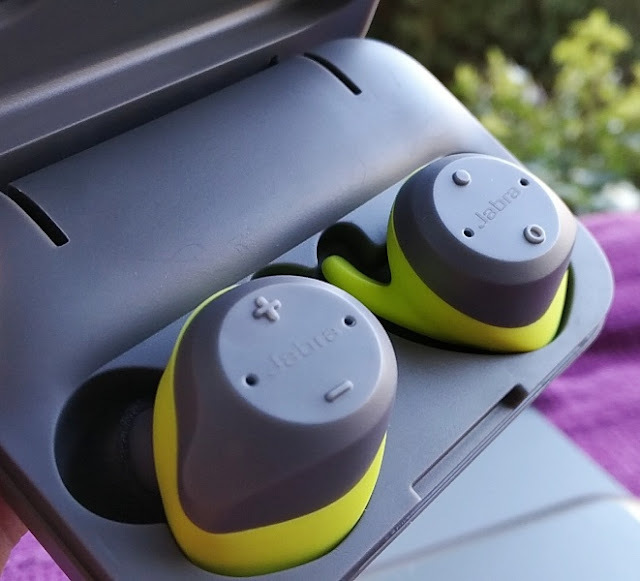 The 4.5 hours of battery life you get with the earbuds includes heart rate monitoring, while the Elite Sport charging case 13.5 hours of additional battery life can fully recharge the Elite Sport earbuds twice over. The charging cradle features fast charging so 20 minutes of charging gives you a full hour of battery life. 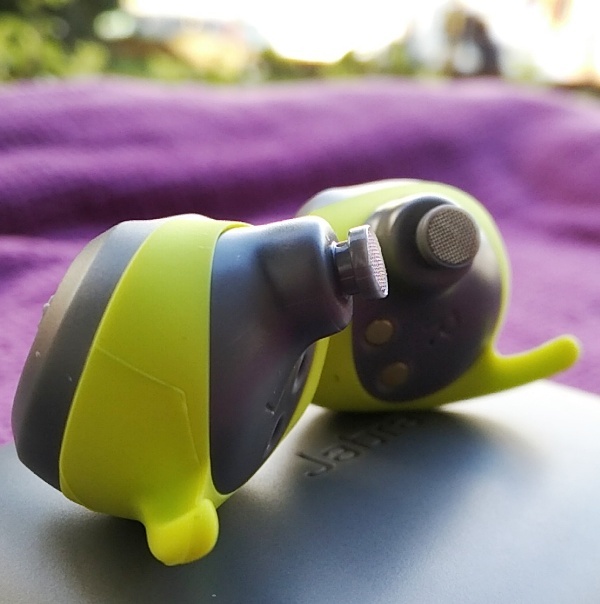 The sound quality is clear with full bass across the 20 Hz/20 kHz frequency range. 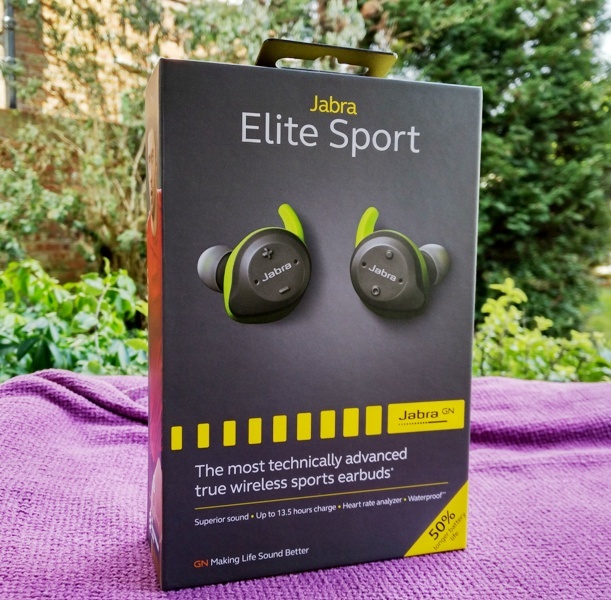 When using a proper ear tip fit, the Jabra Elite Sport also offer passive noise cancellation. 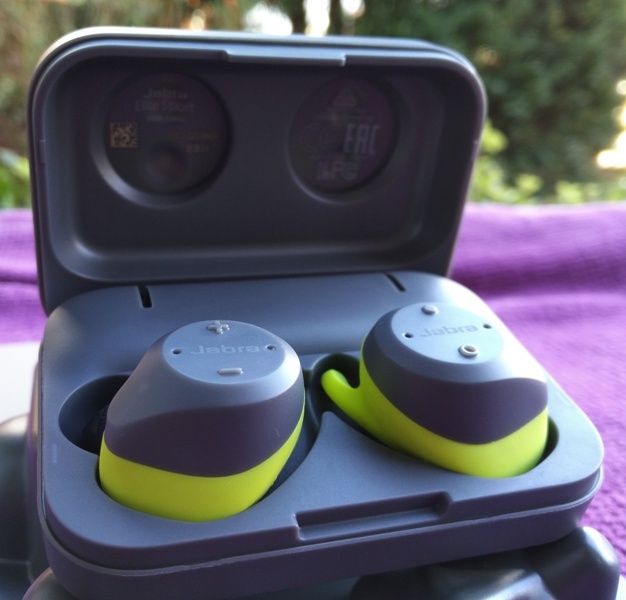 Along with the Jabra Elite Sport earbuds, you get a nice quality selection of earwings, foam tips and silicone eargels of different sizes. 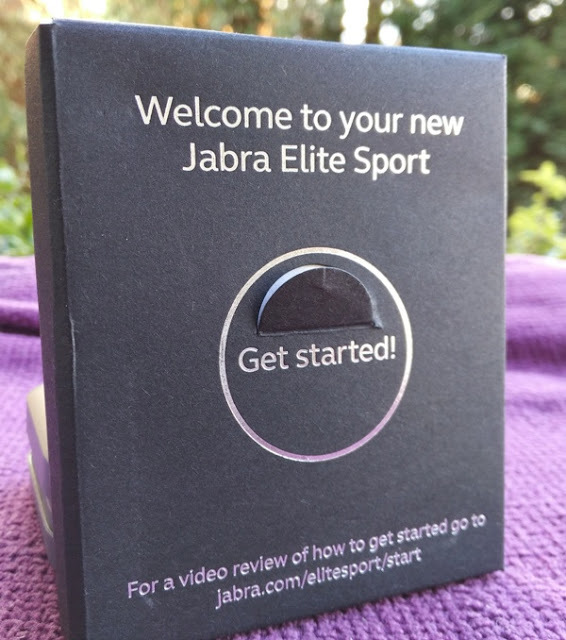 Call calling with the Jabra Elite Sport is also very good as your voice is picked-up very clearly at the other end. 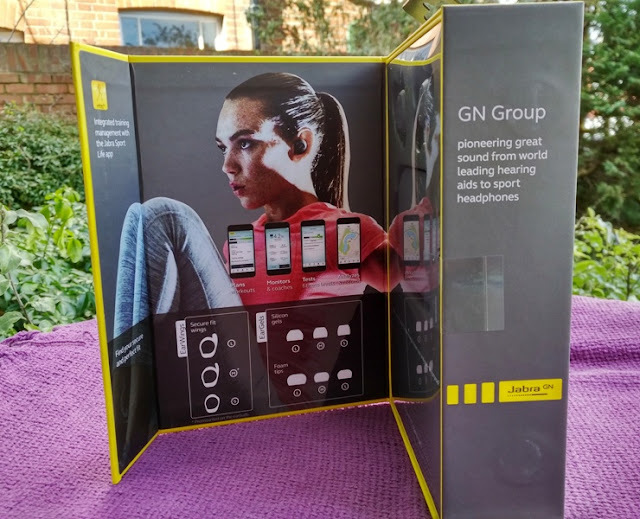 This is thanks to four sensitive (-38 dBV/Pa) digital MEMS microphones that are built-in the Jabra Elite Sport which feature noise cancellation and wide frequency range (100 Hz to 10 kHz). 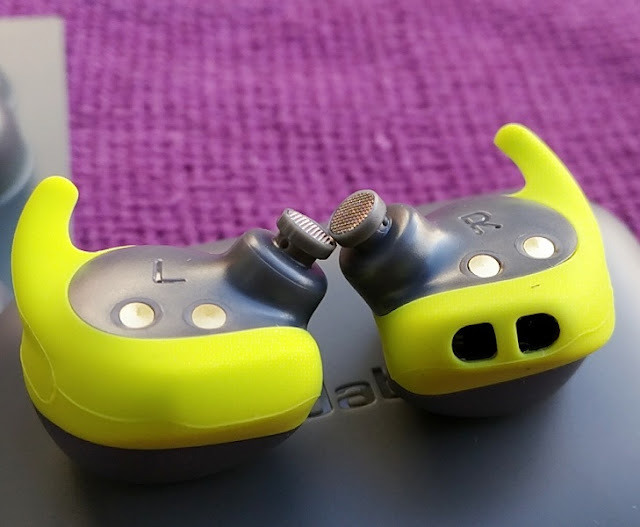 The mic quality is as good as the mic built-in to the Talk 2 and Eclipse headsets. 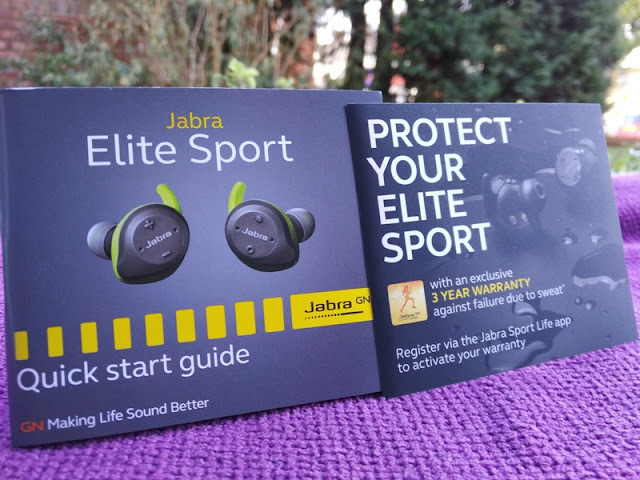 The Jabra Elite Sport earphones feature easy to use control buttons which integrate seamlessly into the soft rubberized waterproofing exterior. 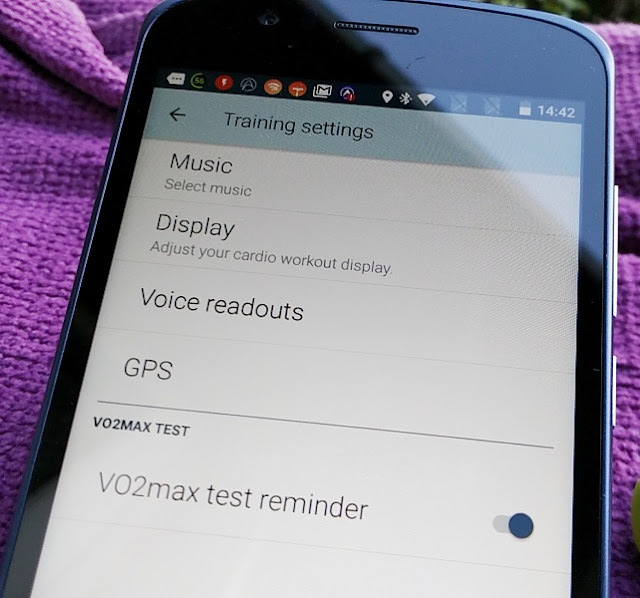 Volume and skipping of audio tracks are controlled from the left earbud. To volume up press the + button and to volume down press the - button. To skip track forwards and backwards, hold down the + and -buttons respectively. 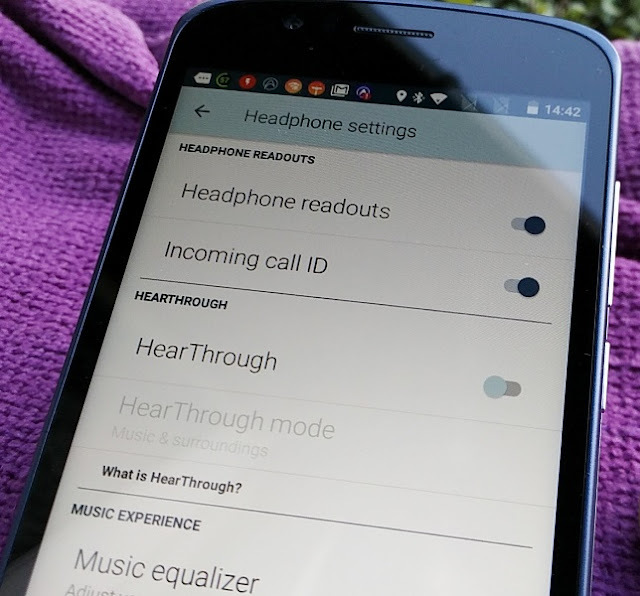 The HearTrough feature, app control, play/pause and answer/reject calls are all operated via the right earbud. 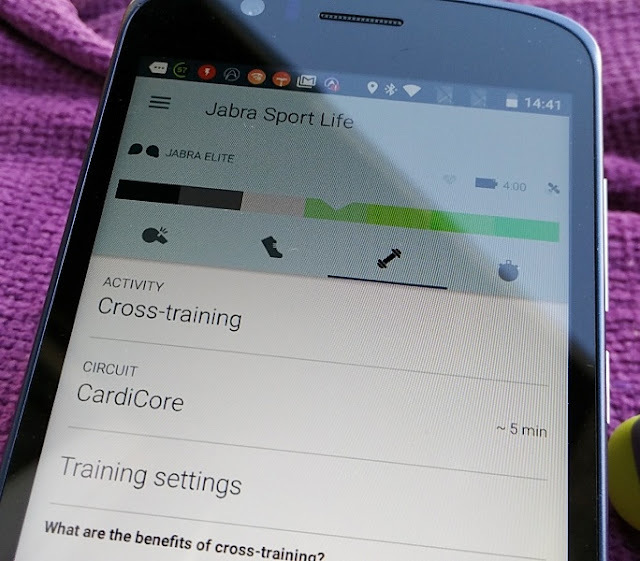 The app control from the earbud lets you remotely open the Sport Life app, prompt real time coaching feedback, as well as start/stop and pause work-out. 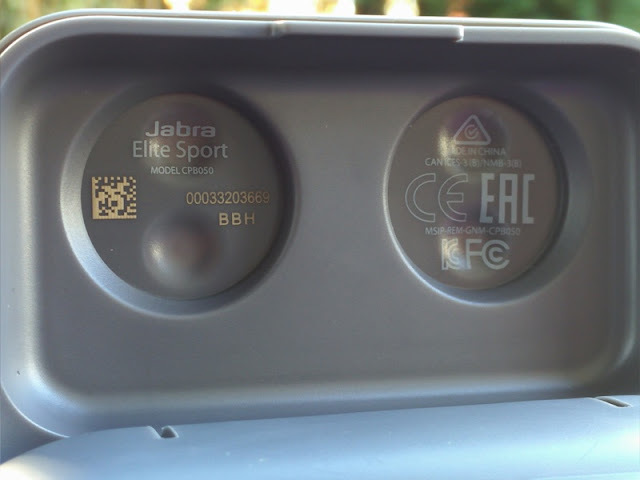 Both Jabra Elite Sport earbuds and charging cradle have a model number each which is as follows: OTE050 (right earbud), OTE051 (left earbud), CPB050 (charging cradle). 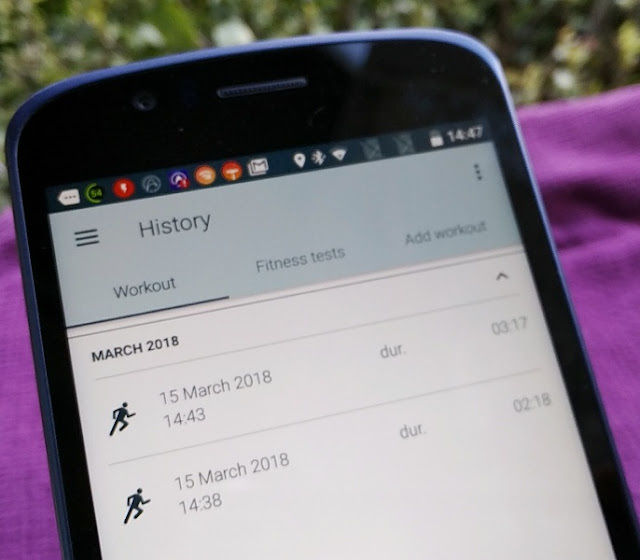 The History menu of the Sport Life app lets you add workouts, check previous fitness tests and workouts including time, day and duration of workout.